Year: 1953 Item #: 1124 Views: 4,663 Comments: No Comments. 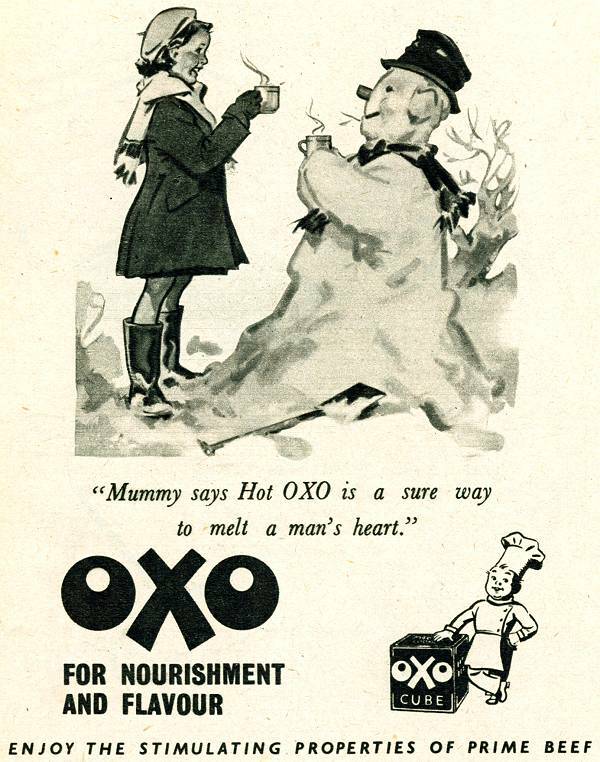 "Mummy says Hot OXO is a sure way to melt a man's heart". OXO for nourishment and flavour.